My goodness! This Roland S-50 Sampler of mine has really been an interesting ordeal in getting the board back into shape and in near perfect working order. Probably if you do a Google search about the Roland S-50 Sampler Static Output problem you’re likely to easily find both my blog and name attached to it. You’ll also likely find several comments about what I “think” is the problem. After several weeks of really tackling the problem “again”, I finally think I have found the solution. If you are getting static output, especially when playing hard on the keys or at high volumes with the output set to “H” on the back, then likely the problem is as I expected…the Aromat NL6X 5V DC Coil Relay located on the Jack Output Board. You can see the attached photo of the exact “pain in the neck” part. It is this relay that appears to be both the problem and answer to ALL of my issues with the Roland S-50 output including static, voice skipping, and any distortion in the sound. I have done significant testing to determine that the relay is the checkpoint of just about everything and in my opinion the “heart” of the Roland S-50. How do you fix it? Well, first of all, the replacement part is virtually non-existent. I have called Roland in Japan and have been searching both Ebay and Yahoo Japan Auctions for over a year. Absolutely nothing has materialized. I then bought a second Jack Board off ebay as replacement and got the exact same problem. So it was obvious the guy selling it to me couldn’t get his Roland S-50 working probably for the same reason. So I ended up buying the problem all over again…laugh. The good news is that this purchase gave me a second test board to hack away at and that’s pretty much what I did. So, here is what I accomplished. 1. First I removed the output jack board from the Roland S-50 for easier accessibility. I then removed the plastic cover of the relay. For now I plan to keep it off because during my testing I found out that moisture or residue ( whatever you call it ) will build up inside and it “seems” to be a part of the problem. So eliminating the cover appears to have helped. Don’t throw it away, but just keep it safe somewhere just in case you need to put it back on. 2. This is hard to explain, but I then had to pry or bend the clamps ( left and right at the bottom and at the metal cross at the top ) in order to lift up the square metal piece holding the middle copper coil. The does NOT come off, BUT it will bend upwards allowing you to both squirt some Deoxit and using a Q-tip to clean each copper contact leg sufficiently. There are 8 copper legs in total and you need to THOROUGHLY clean each leg contact and the little metal round contact points they rest on. If you accidentally bend the copper legs, that is fine but do try to bend them back so they lay flat. 3. 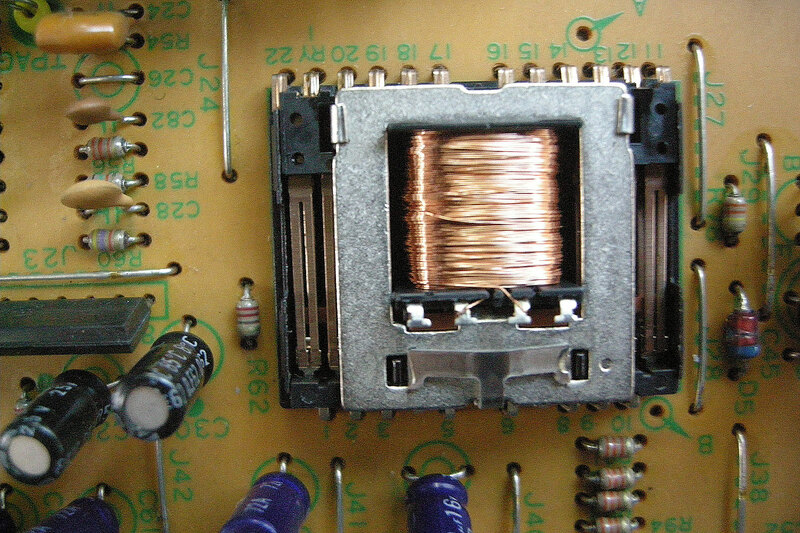 Now bend the copper coil with metal frame back down and using some tool of your choice, try to bend the clamps back into place so that the relay is in position and will not pop out. This is tricky. I never got mine back in perfectly because the left and right clamps are so small, but I did get it pretty firm back into position. After that I leave off the plastic cover and then slid the jack board back into the Roland S-50. Now, when you power the Roland S-50 back on, it should start right up and boot off your floppy. You should experience “ZERO” static when you play the keys right away. If you still get static output, you then need to repeat the entire process of cleaning. I did this procedure to two Output Jack boards with unbearable static and distortion. They both work 100% now. It took an absolute thorough cleaning of the Aromat Relays, especially focusing on the “eight” copper legs and 4 contact points in between. I then left the plastic cover off. I used CAIG Deoxit for the spray which works very well. You should also spray the output jacks and the L/M/H toggle switch on the back. I usually have the Roland S-50 output toggle switch set to the middle “M” position. I then have the volume slider set at the 7 mark. From there I set my mixer to get a good volume. Now I tend to play VERY HARD on keys. I have big hands and I when I get a funk groove going, I really get into it. I found a fantastic RHODES disk for the Roland S-50 that has great bark with a really gritty sound. It’s a superb sound which is one reason why I have been at it fixing the Roland S-50 for such a long time. It’s a great sampling keyboard and I really love the sound. When I now play the rhodes sound I get zero distortion or static output. It’s clean, clear, and very analogish sounding. It’s got that super funky rhodes sound now and I love it! I truly believe the problem with static output now is the relay. Fortunately it’s big and built tough, because it definitely requires one to scrub and get in there with a Q-tip to get it properly cleaned. You wouldn’t want this to be a delicate piece to clean. It definitely requires a major wash. It took three rounds of cleaning to completely eliminate the static. Yes, it may take multiple cleanings, but you’ll hear the progress as the static will start to diminish and stay that way. I wouldn’t put the screws back in until you’re satisfied. Just keep cleaning that relay and it will eventually come back to life “hopefully” as good as new. I should also clarify, the problem is NOT any bad chips on the motherboard. I thought it was, but after further testing I am utterly convinced it’s the relay. Please comment if you have any knowledge or experience with bad relays on the Roland S-50. I’m confident I have fond the problem, but I’m still not sure exactly what aspect of the Relay is causing the problem. Thank you!! One follow-up to my article is about the Low/Mid/High switch on the back of the Roland S-50. I noticed that on two occasions I noticed a slight bit of static coming back into the outputs after playing for about an hour. I thought this was odd because the sound was crystal clear for an hour and the Roland S-50 was nicely warmed up. I toggled the switch from Mid to High and then back again. I noticed on bought occasions that the static disappeared. Could it be that I might have also a faulty 3-way toggle swtich? I may look into replacing the switch altogether and see if that also helps. Thus it’s possible that if you encounter a little bit of static even after cleaning the relay, it might be due to the 3-way toggle switch being faulty or in need of cleaning. These are actually easy to find on Ebay thank goodness. Did you try a different boot disk? This is exactly the same problem I had with my S50. I could boot it fine but no sound out but I could trace sound across the board. At your suggestion, Tom, I tried booting Director S and it freekin worked! it was a bogus boot disk…I thing the disk image on sgroup is bogus or something…I will try to make two more boot disks…and see what happens…also now, I do get static…hehehe! but I was sooo glad to hear that static! Awsome article Jim. This will help anyone else who runs into the problem. Jim – Is the relay making the audio connections based on the toggle position? Have you thought about hard wiring the connections to bypass the output toggle switch or even the relay?? Yours truely, from another S-50 fan. Great article! I have experienced the static/noise sound before which is why my S-50 doesn’t get as much use as my other keyboards. I will try this fix and hopefully use my S-50 a lot more. Back in the 80’s, I remember this was such a cutting edge keyboard/sampler, especially if you had the DT-100 Digitizer Pad and an RGB monitor. I created a Mission Impossible title song demo complete with sound effects sampled from the original TV series to demonstrate the capabilities of sampling. The audience was always amazed. I had people approach me after my demos and I fielded questions for about an hour. Musicians really wanted samplers, wanted to know how it worked and wanted that incredible, new technology. Have you had a case where you had no output at all from an S50 when the relay was unhappy? I’m playing with one now. I finally got it to boot, but no output. Havent gotten around to poking at it with a scope, but that is up next. If its the relay acting up, looks fairly trivial to make up a board to either adapt an available 6PDT 5V relay, or a few DPDT relays to replace it. Which disk are you trying to use? The problem I was having turned out to be a disk issue. I grabbed a boot disk off the Yahoo group and the machine would boot with it, but there was no sound. I also had to download a sound disk also, boot with the first and load the sounds from the second disk. As a side note, I did make up a board to hold 3 DPDT relays to replace the original relay. I used Zettler AZ822-2C-5DSE 5v relays which are fairly low current. I put the boards up on OSHpark if anyone needs them. https://oshpark.com/projects/JXKtvHoT I used sockets for the relays and some 2-56 machine screws and a small scrap of plastic to act as a hold-down for them so they could be easily replaced in the future yet not fall out. Has anyone successfully jumped the relay entirely by hardwiring the toggle position (as Kirk mentioned)? I’d like to try this, and I am curious if it might cause any problems.